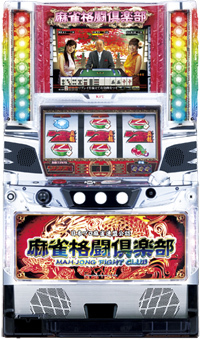 Today, we will be introducing a slot machine of highly popular mahjong game, “Mah-jong Fight Club”!! 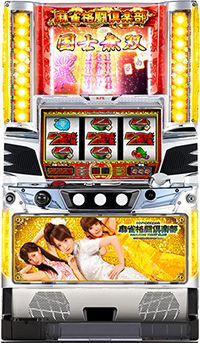 A lot of professional mahjong players belonging to Japan Professional Mahjong League make their appearances on the screen. Since the battle situation changes depending on the play mode, you get to feel like you are really playing mahjong!! You also get to enjoy swimwear photoshoots of Mari Takamiya, who is a professional mahjong player as well as bikini model. When you win against top 4 professionals, hope for a huge jackpot!! It is already being played at the parlor.If you like mahjong, rush to the parlor now! !